Are you ready to go to the next level in your business? Business Membership with Angelic support! Are you ready to co-create Magic in your life and business with the Archangels and Ascended Masters? Then get ready to get that constant support you need EACH and EVERY SINGLE month at an incredible LOW rate! So many entrepreneurs fail not because of a lack of skill but because of a lack of support. Are you ready to stop playing small and finally commit to making your business grow? If so, then i’d like to introduce you to…. Never feel alone in your business and life again! 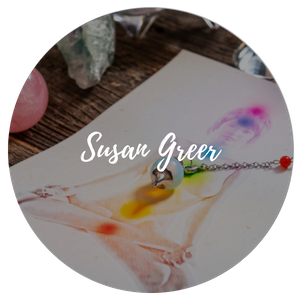 Many times we "get in our own way" due to fears and stresses - this monthly sacred space will help you move your business to the next level. STRENGTHEN YOUR BIZ INTUITION AND GET WEEKLY HIGHER GUIDANCE TO BLESS EVERY AREA OF YOUR LIFE! From my own hurdles, I have been guided to create a platform that will allow you to invest a minimal amount of money every single month and get weekly support, guidance and business coaching in a membership setting. This will be a private membership group inside Facebook that will give you access to weekly business coaching, channel guidance, business blocks healing, and accountability so that you never feel like you are working on or growing your business alone. Plus it’s more fun to grow together in a community of like minded people working towards similar goals. Bonus 1: Get your name on my Angel Altar as long as you are in the membership. Opportunity to be featured to gain visibility on my public group and on my Biz page. This offer is valued at over $1,000 but I’m making it available to you for only $110 per month! If you are tired of struggling, wasting time and energy, and want to make a minimal investment at an extremely low price then this is the one for you! "She is a lovely woman with an array of blessings and gifts to help others in their healing journey. Namaste, Neelam. Feeling so grateful to have crossed paths with you." love is an essential ingredient to growth & success. Did you know that Dr. David R. Hawkins M.D., Ph.D (Author of Power vs Force) has developed a map of consciousness that allows you to identify where you are as far as your energy now compared to where you want to be? This unique and effective tool works because it enables you to take an in-depth look into your current state while allowing you to track your spiritual transformation progress.